If there’s a universal truth to be drawn from the current makeup landscape, it’s that more is more. So many new products crowd the market that even a beauty hound can become boggled. Sift through them, though, and there are creative new options well worth your attention. Textures, in particular, have become more inventive. Below, a primer on some of the newest and some tips on how to use them. Lip stains deliver a believable finish but are often faulted for drying out lips or settling in fine lines. Not so with the new hyaluronic-acid-infused versions like the Dior Addict Lacquer Plump ($37). With a consistency akin to a super-pigmented jelly, the formula gives you a surprisingly shiny inklike stain with a subtle plumping effect courtesy of the hyaluronic acid. 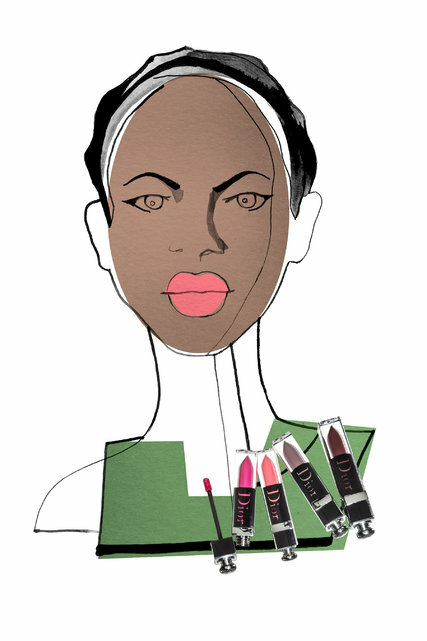 The Dior makeup artist Ricky Wilson likes this method to achieve an everyday look. If you prefer a matte lip stain, you may want to try the YSL Tatouage Couture Matte Satin ($36) instead. Blessedly lightweight and more pigmented than the usual stains, the formula is closer to a liquid lipstick. Be wary, though, of creating harsh lines. To achieve a more diffuse effect, apply and let dry before gently blurring any obvious lines or excess pigment with your finger. Glitter is back in a big way — see the inspiring looks by the makeup artist Katie Jane Hughes on Instagram (@katiejanehughes) for reference — but what’s out are the messy loose pigments that require pro dedication to apply. Tom Ford’s new Extreme line of twinkly shadows ($36) in an intriguing new base formula of gel polymers and oils create a barely there, flexible film. (The texture feels almost creamy.) Glitter, pearl and micronized pigments stay on better, so much so that the shadow can appear 3-D or nearly wet. “The formula is best applied dry with fingertips or with a brush,” said the makeup artist Isamaya Ffrench, who worked with Mr. Ford on this collection. There is also pigment underneath the glitter that has a slight sparkle. “It’s so when you blend the pigment out, it doesn’t drag but rather melts into the eyelid,” Ms. Ffrench said. Tom Ford isn’t alone in rethinking glitter. Bodyography’s gluten-free and vegan Glitter Pigments ($23) are based on a similar gel-base concept. 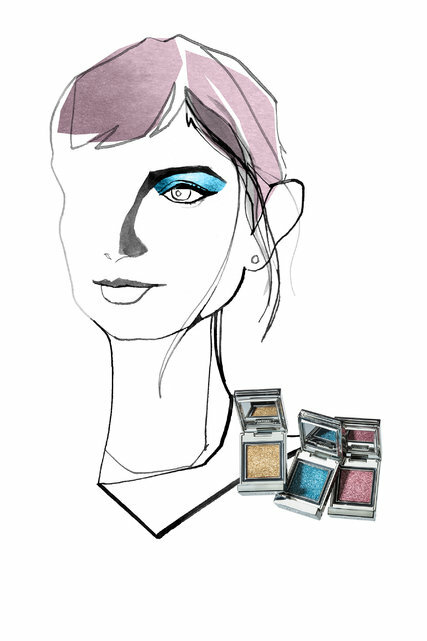 The rosy Stratus hue is in tune with the pink eye shadows spotted recently on social media and runways. If you’re looking for a mirrored, metallic effect without obvious pieces of glitter, Tarte’s Chrome Paint Shadow ($22) is a winner. Dip your ring finger into the little pot and swipe onto your lids for ”Space Odyssey”-worthy results. Ms. Cantello advised using a “large natural-hair brush to apply directly over skin.” Perhaps best of all, the formula won’t cake as the day wears on. Also, the powder works best on skin that is somewhat oily or very moisturized; otherwise, it can take up to 20 to 30 minutes to settle. Once it settles, though, the finish is essentially seamless. For a more matte look for spring, Urban Decay offers a novel option: a translucent powder that’s designed to mix with your foundation. Called the Velvetizer ($34), it is especially effective at tempering a dewy-finish foundation. Tweak the amount you add according to the humidity or your skin that day. Lip powders have become the nouveau finish of choice. That’s partly because of their “versatility,” said the Chanel makeup artist Cyndle K, referring to the company’s Poudre à Lèvres Lip Balm and Powder Duos($37). Looking for a range of powdery hues? 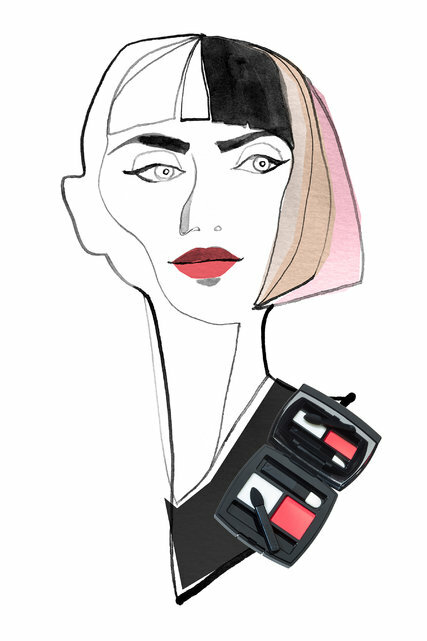 Nars has teamed with the London fashion designer Erdem Moralioglu on a collection that hit the Nars site in mid-April. Among the limited-edition items is a lip powder palette with a tinted balm ($49). Or wear your own favorite lip balm with CLE Melting Lip Powder ($19.99). The Korean brand designed its formula to be multifunctional. 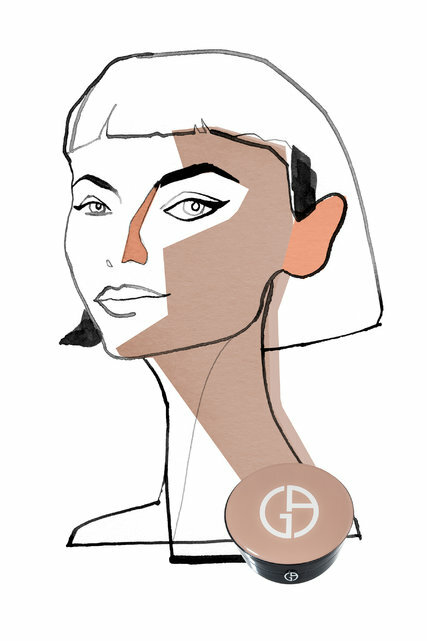 Add a dab to your cheeks for a pulled-together look. The new jelly illuminators feel young and playful. Jiggly and bouncy, they’re also fun to capture on camera, as demonstrated by Farsáli, a social-media-savvy brand whose rose gold Jelly Beam Illuminator ($40) has been quite the hit on Instagram. Another option is the Inc.redible You Glow Girl Iridescent Jelly ($12), though the violet-tinged iridescent sheen isn’t for everyone. Unlike highlighting powders and liquids, which can wander, the jelly consistency largely stays put. 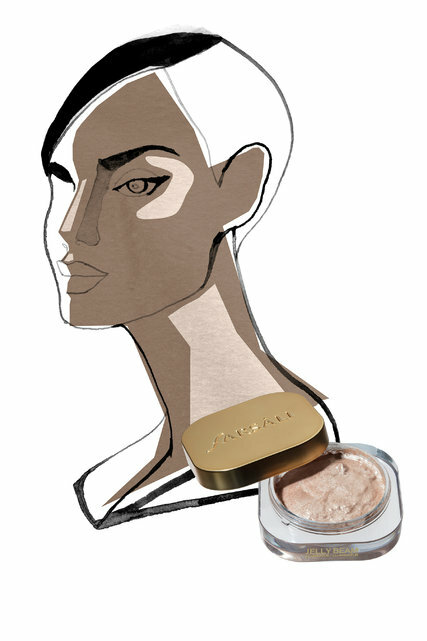 It also offers a pretty, slightly dewy finish without the heaviness of a cream formula. Use as you would any highlighting product: Dab on tops of cheekbones, brow bones and the cupid’s bow with your ring finger. If you’re new to highlighting, try an illuminator with slightly less pigment, like the H20+ Probiotic Champagne Illuminator ($22), which will give you a subtle, natural-looking sheen.